As you slide down the bannister of life, may the splinters never point your way. 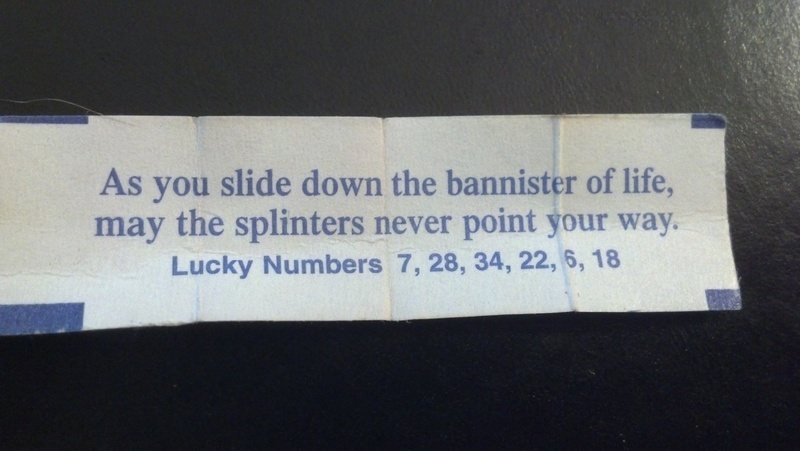 This entry was posted in Humor and tagged bannister, life, slide, splinters. Bookmark the permalink.